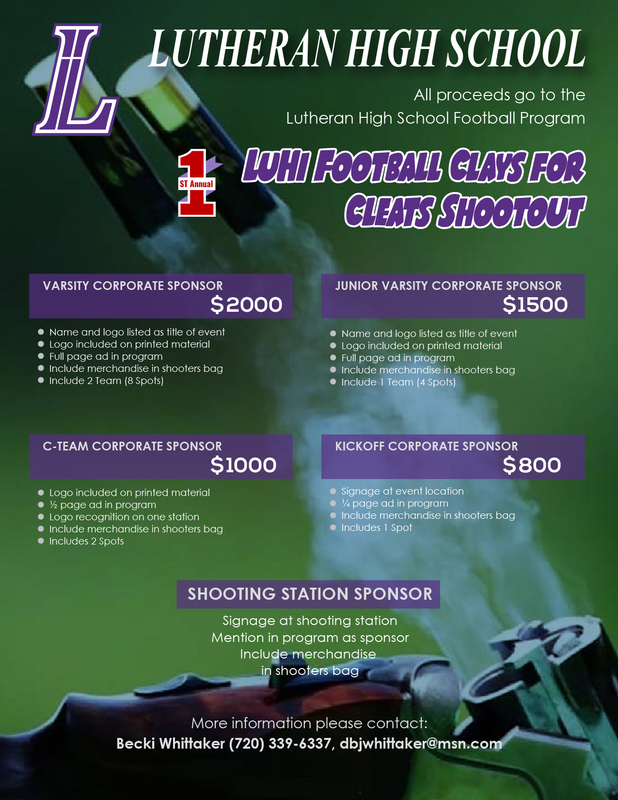 Grab some friends for a day of sport shooting to support the LuHi Lion Football Team! 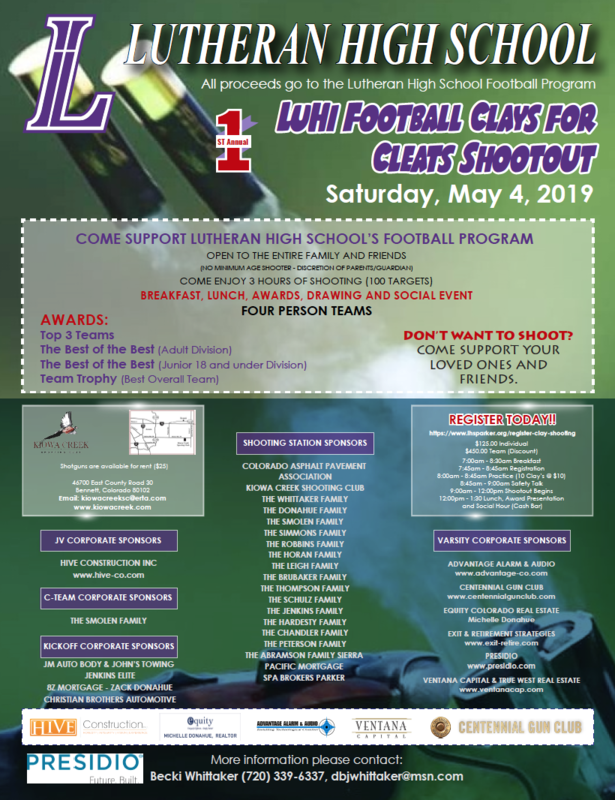 Enjoy breakfast, lunch, awards, drawings, and 3 hours of shooting! 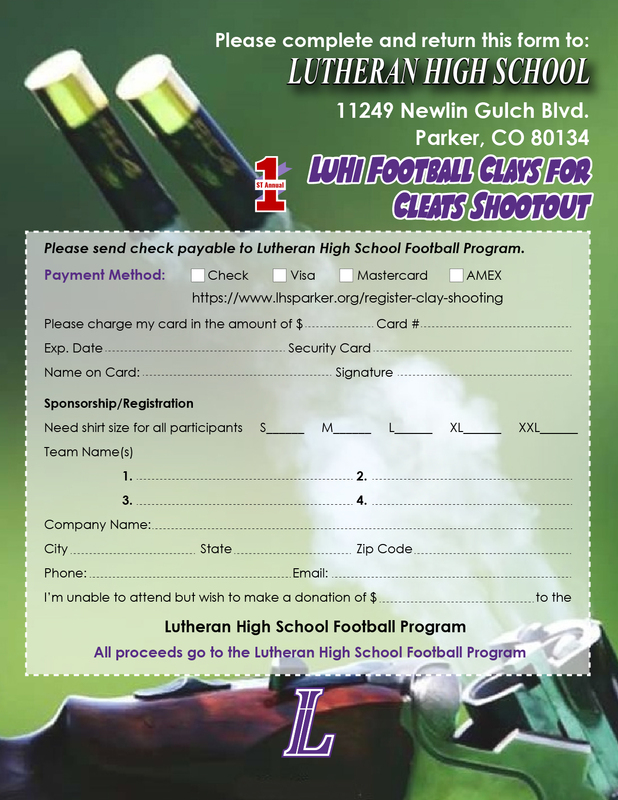 2 Ways to Register: Register online below or print off this flyer and return to Coach Robbins at Lutheran High. Limit of 30 teams (4 people per team). Awards will be given for Top 3 Teams, The Best of the Best (Adult and Junior Divisions), and Best Overall Team. Interested in sponsoring the event? 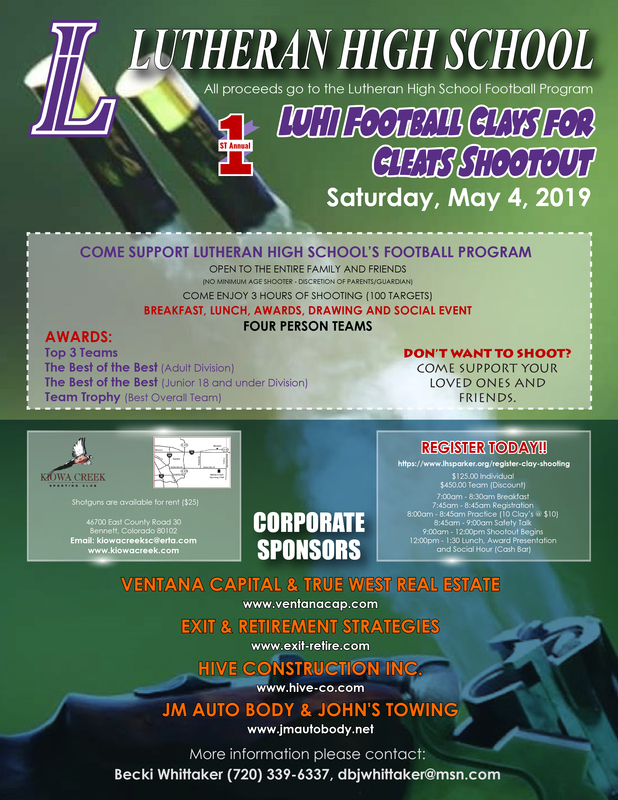 The four sponsorship levels include Kickoff Level ($800), C-Team Level ($1000), JV Level ($1500), and Varsity Level ($2000). Event Sponsors will get signage at shooting stations and a mention in the program. It also includes merchandise in shooters bag. Can't attend but want to help out? Spread the word by sharing this flyer. You can also donate any amount to the event! If you have questions or would like more information on being a sponsor for the event please contact Becki Whittaker at dbjwhittaker@msn.com. Thanks for supporting your LuHi Lion Football Team!